4000 Plastic Plant Stakes Markers Plant Labels Nursery Tags Made in USA 4'' X 5/8'' by zry_ai at Tulips Orchids. Hurry! Limited time offer. Offer valid only while supplies last. 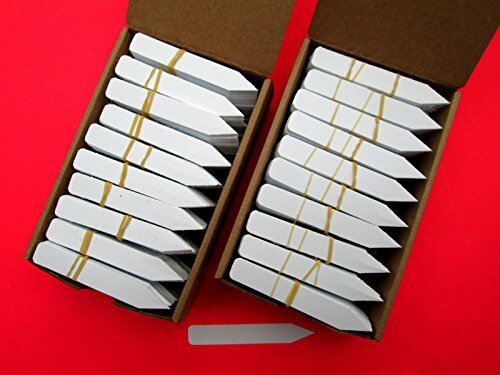 White plastic plant stakes - 4" X 5/8". These are the plant tags we use in our nursery. Great for labeling seedlings trays, cuttings and 2" to 10 gallon pots.